If you’ve ever had your identity stolen on the Internet, you know how frustrating it can be. I hear stories like this all the time from my students and colleagues: Instead of keeping separate passwords, which you’ve been told to do many times, you decided long ago that one password was good enough to govern all your Internet security. Then, that password is stolen and you’ve lost your identity, money, or access to your personal items. That’s when you wish you had a better way to handle the long list of passwords you need. First, there’s no perfect solution here. You have to stay diligent about password security. Even the most active web surfers who change their password information often aren’t safe from people looking to do harm. There are tools on the open market that you can purchase to help you manage passwords. 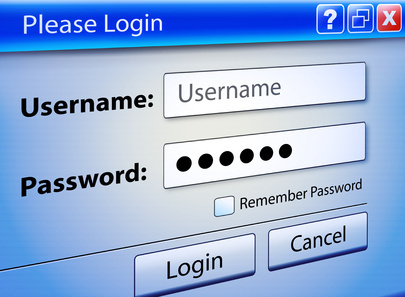 Some popular PC password applications include 1Password and KeyPass. If you’re on a newer Apple computer, you probably have a version of KeyChain, which is nearly identical. A great feature of KeyChain is that it be synched across multiple Apple devices to put all your passwords in one place. As helpful as these products may be, they provide as many problems as solutions. If you think about the nature of the security you’re trying to provide, you want to have a different password for each secure site you visit. However, if you use a password application requiring only one password to get to all of the others, then you’ve given access to all your passwords to someone who finds one. A much better way to create and manage passwords is to devise a system that only you understand. A colleague showed me this method a while back, which I now teach others. If applied properly, this will help you create stronger passwords that you’ll never have to write down. Start by creating a simple system you can remember where certain letters correspond to a number, such as A is 1, B is 2, and C is 3. Then, create a formula using the first couple of letters of the name of the site you’re visiting, and equate the letters to numbers when possible. In this example, let’s use A-E converted to 1-5 and pretend we’re visiting Facebook. The first part of our password becomes F13e2. Finally, put the two together and your complete password becomes F13e231t. Even in its simplest form, it’s not an easy password to steal. If you stay consistent, your risk of identity theft will decrease and you’ll never have to write down your passwords again. Stu Crair is the owner and lead trainer at The Digital Workshop Center, providing digital arts and computer training instruction in Fort Collins. Reach him at (970) 980-8091.